Who doesn’t love a refreshing smoothie to cool down on a super hot day? 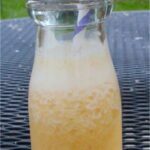 It was a real challenge deciding what to do with the Ugli Fruit, but why not create an Ugli Fruit Smoothie and get your Vitamin C and a refreshingly tart flavor that seems to cure your thirst instantly. Today in the April A-Z Blogging Challenge, we are on the letter U. Since I chose to do the alphabet through recipes, it got more challenging with some letters. 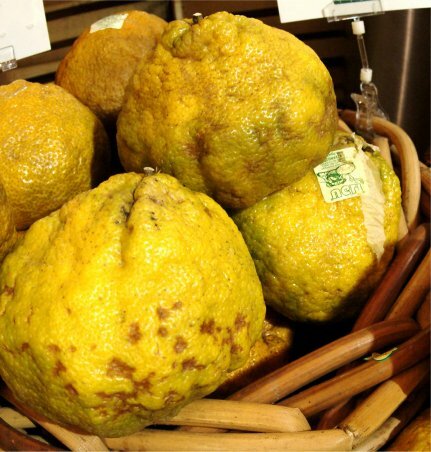 And while I am sure there are a few other foods/dishes or recipes that start with the letter U, my limited knowledge of foods led me to the produce section and to what is known as Ugli Fruit. Thus, we did Ugli Fruit Smoothie! Ugli fruit is actually the Jamaican tangelo, which is a citrus fruit that is created by hybridizing a grapefruit (or pomelo), an orange and a tangerine. It is not an attractive fruit at all. In fact, it’s … well, ugly. Hence, it’s very appropriate name. 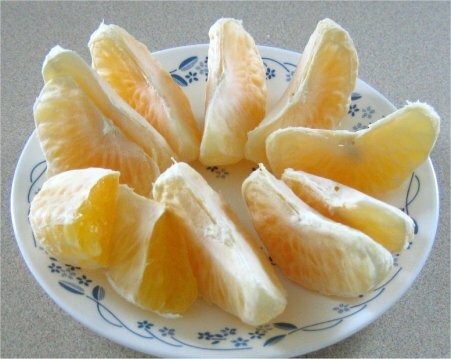 On the inside, it would be hard to distinguish between an orange; with the exception to the fact that is offers more fleshy fruit than an orange would. Flavor wise, you have a very orangey, citrus flavor, with a bit of a tang at the end – almost like a lemon. They are sweet and delicious and quite juicy. From what I understand, they are quite popular in Jamaica and used primarily as a beverage blended up the same way you would make lemonade. Well, I went for the smoothie, and I am not sorry I did. A refreshing frozen drink that is both sweet and tart and ridiculously good for you. I am mesmerized by the Ugli Fruit and let me just tell you, I am addicted to the Ugli Fruit Smoothie! Peel and cut up the ugli fruit - try to only keep the fleshy juicy part and not the skin around each segment - it just tastes better that way. 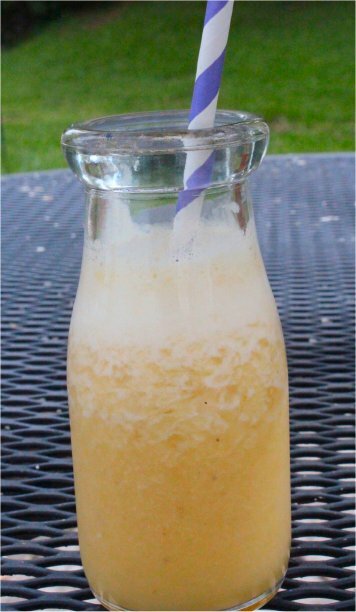 Put the ugli fruit, banana, pineapple juice, milk and sugar into your blender and process until smooth. (or as smooth as you like - we left some random pieces of fruit in there). I cannot even begin to tell you how refreshing this smoothie was. I don’t know, it’s definitely different than just a plain old orange, there is another flavor in there, I don’t even care what it is – this was SO good! This got 5 stars from all 5 of my kids. And I love it because they got a big old dose of Vitamin C! Love learning new things and now if there was just some way to get a taste on line…..mmmmm that would be heaven. How interesting! We bought an Ugli fruit, which I had never heard of before, a couple of weeks ago. My kids thought the name was funny enough to give it a try. It’s still sitting in our refrigerator–guess I’ve been ‘afraid’ to try it! This smoothie looks delicious so maybe I will give it a try with our Ugli fruit. Thanks for this recipe. I just recently discovered this fruit and posted about it. Now I know what to do with it besides eat it like a fruit! Merci!